For many of us, the animals in our lives are faithful pals who make us laugh, keep us company and love us no matter what. But in times of danger, can we also count on them to save our very lives? Here are 11 outstanding examples of animals who saved humans. For many of us, the animals in our lives are faithful pals who make us laugh, keep us company and love us no matter what. But in times of danger and tragedy, can we also count on them to save our very lives? If dozens of incidents are any indication, the answer to that question is, pretty reliably, yes. 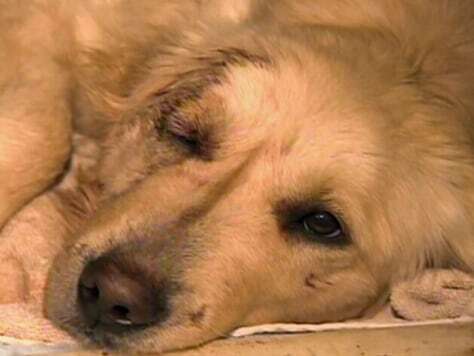 Read on for 11 outstanding examples of animals who saved the lives of humans. When a hungry cougar came calling, an 11-year-old boy named Austin Forman had Angel on his side. It happened on a dark Sunday evening in British Columbia, Canada, when Austin went outside to collect wood for his family's wood-burning furnace. He noticed that Angel, his happy-go-lucky golden retriever, was acting much more cautious and guarded than usual. Within moments, a cougar tried to pounce on Austin from less than 10 feet away. Angel jumped directly into the big cat's path and bore the brunt of the attack instead. "She was my best friend, but now she's even greater to me. She's more than a best friend now," Austin said after the attack, which almost certainly would have killed Angel if a local police constable hadn't managed to shoot the cougar. The 18-month-old dog had surgery to repair extensive injuries to her head. "I was just lucky my dog was there, because it happened so fast I wouldn't have known what hit me," Austin said. "I bought her a big, nice juicy steak." when she did something big -- really big -- for her owners. At about 2 a.m. on a cold night in October 2007, Schnautzie ambled up onto the chest of sleeping Trudy Guy and began tapping Guy's nose with her paw. The first time it happened, Guy ignored the adorable annoyance and went back to sleep. But Schnautzie was persistent: Tap. Tap. Tap. This time around, the pats on the nose woke Guy up, and she noticed the way Schnautzie was sniffing the air. She awakened her husband, Greg Guy, and they both heard an ominous hissing noise. A gas pipe leading into their Montana home had broken and was filling their basement with fumes. The Guys and their trusty feline fled the house. Firefighters later told the couple that if the furnace had kicked on -- highly probable on such a cold night -- the whole house could have exploded in flames. Schnautzie's efforts earned her a Purple Paw award from the Great Falls (Mont.) Animal Foundation. 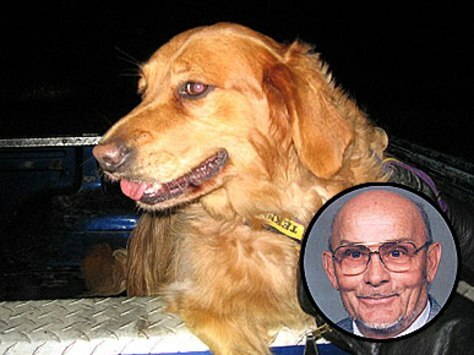 This is a photo of a dog named Effie who found a 94-year-old man frozen to a sidewalk in Minnesota in January 2010. On a frigid afternoon during a cold Minnesota winter, Brett Grinde took his 15-year-old German Shorthaired dog Effie for a walk. Just a regular walk along their regular route -- until Effie began behaving strangely. "At the 'T' we always go left," Grinde told the Pine City Pioneer newspaper. "She started pulling to the right. Effie has never, ever done that, and hasn't pulled in a long time." Effie was so beside herself that Grinde, an investigator with the Pine County Sheriff's Office, decided to let go of her leash and let her run. She sprinted straight to a driveway about 40 yards away, where a 94-year-old man was frozen to the ground. "He had serious exposure and blood underneath him," Grinde said. "I have seen plenty of deceased people and thought he was dead." He wasn't dead, though, and because of Effie's intervention he was able to get emergency medical care. The man did die a few days later, but Grinde remains grateful that Effie ended his misery in the cold. "I think the one above heard the man suffering and pointed Effie in the right direction," he said. "It's all in God's hands one way or another." Remember how, in all those old TV shows and movies, Lassie the collie could always be counted on to run and get help? Well, Lassie has a new understudy: Buddy the German shepherd. On a recent cold, dark night in Alaska, a fire erupted at the home of Buddy's owners. One of them, 23-year-old Ben Heinrichs, got Buddy safely outside and told him, "We need to get help." That's just what Buddy did. He dashed off and eventually encountered the vehicle of a state trooper who had gotten lost on winding, rural roads while trying to respond to the blaze. Buddy got his attention and began running at top speed down snowy streets, directing the trooper right to the fire. During the rush to the inferno, the dog kept looking back over his shoulder to make sure the trooper was keeping up. Buddy's entire rescue effort was captured by a video camera on the trooper's dashboard. Roxanne was carefully trained as a guide dog for the blind -- but she received no training at all to sense an impending medical crisis. The faithful Labrador retriever figured that part out all on her own. 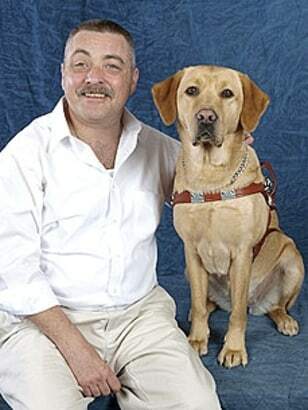 Her handler, Joe Mauk of Brookville, Pa., had lost his vision after enduring Type I diabetes for years. In early 2010, he got all set to take Roxanne out for her evening walk, but she resisted. 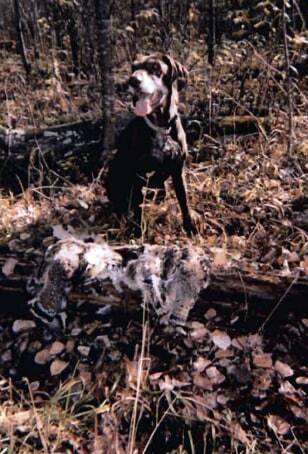 "She wouldn't get in her harness and kept laying down and putting her head on her legs," Mauk told PeoplePets.com. Mauk finally managed to coax her outside -- and during the walk, he collapsed. "My blood sugar crashed," he said. "It was pretty much a crawl back to my house -- I was fighting for consciousness." Roxanne madly licked his hands and dragged him back home by her leash. "I remember getting my front door open, but from there it went blank. When I came to, a syringe of glucagon still in my leg, I was saturated from sweat -- and from Roxanne licking my face and arms. I'd never felt her react to anything that way before." Since the incident, Roxanne has been exceptionally protective and attentive with Mauk. "I've never felt safer in my life," he said. "She has one eye open all the time." Chihuahuas are known for being tiny, adorable and, in some cases, a little yappy. In October 2008, one 13-pound Chihuahua named Chi Chi yipped and yapped so hysterically that he couldn't be ignored. His owners, Rick and Mary Lane, had taken Chi Chi with them to the beach on North Carolina's Outer Banks. The diminutive doggie was resting in his own beach chair (and restrained with a leash) when he suddenly went berserk. "He leapt out of his beach chair, still attached, dragging the beach chair, and he started sending out an alarm," Mary Lane said. "He was making a sound we never heard before. Rick said, 'Hey, what's the matter with the dog?'" Chi Chi had spotted something horrible happening about 100 yards down the beach. "There was a storm surge, and there were two elderly ladies -- one had fallen on her back headfirst into the surf," Mary Lane said. "The other lady ... was trying to hold her head up, and she was in danger of being washed out." Thanks to Chi Chi's warning, the Lanes rescued the women from the riptide. Chi Chi later was voted Reader's Digest's Hero Pet of the Year. Jake Vernon was groggy and in pain. 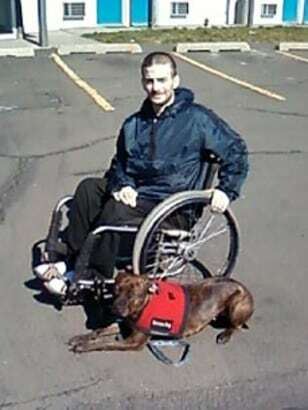 The 32-year-old had been paralyzed in a car accident 10 years earlier, and he had recently broken his right leg. On the morning of St. Patrick's Day, he took some medication he had been prescribed and tried drifting off to sleep. But his dog Gracie Bean really wanted him to wake up. She yipped and yowled and ran around and around. Vernon told her to knock it off. "I even swatted her a few times and told her to lay down and be good," he told PeoplePets.com. Finally, though, Gracie prompted him to wake up enough to see that his bed's headboard was on fire. The flames were spreading to his pillows and blankets, and they would soon engulf his entire Spokane, Wash., home. Vernon had to struggle to get out of bed, into his wheelchair, out his back door and down his home's only wheelchair ramp. Gracie, an American pit bull terrier, stayed completely calm and remained by Vernon's side throughout the ordeal. Vernon survived with some minor burns and wounds on his legs. "What was so crazy was my dog was not afraid of the fire," he said. "My dog walked right between me and the fire and stayed right there." -- but fortunately, she had a friend with her to keep her warm. One of the Bensch family's dogs, a Queensland heeler named Blue, stayed by the girl's side as she wandered off at about 5 p.m. Victoria walked and walked with her lifelong pal and apparently got lost. Her disappearance triggered a massive search that continued throughout the night. A rescue helicopter crew finally spotted Blue, then Victoria, just before 9 o'clock the following morning. She was rushed to a hospital and treated for frostbite. "We have to give a lot of credit to Blue," said Kim Rayfield, Victoria's aunt. "He pretty much stayed with her all night." The animal chosen for the concluding story in this feature wasn't able to save the life of her owner. But she absolutely tried. Lady, a 6-year-old golden retriever, was a loyal companion to 81-year-old Parley Nichols of Hartville, Ohio. The two were always together, and Nichols never left his home without his dog. So when Nichols, who had dementia, wandered off and went missing, Lady stayed right by his side. "I don't know how dogs perceive things but she knew she had to stay with dad no matter what. And she did." 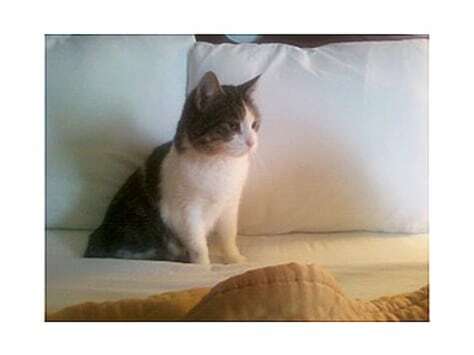 Some cats, like Baby the 13-year-old tabby, tend to be timid all their lives. But on a night in January when multiple lives were at stake, Baby's personality changed. Josh Ornberg and Letitia Kovalovsky -- who was seven months pregnant with twins -- had fallen asleep on the couch in their suburban Chicago home. The couple's house was stocked with baby gear and recently assembled cribs. A fire began in a back bedroom, and the house began filling with smoke. Baby jumped on Ornberg and woke him up. "It's kind of embarrassing that I needed my cat to wake me up, but she was my fire detector," Ornberg told PeoplePets.com. "She's usually not a very social cat, but she jumped on my lap and was jumping around." The fire destroyed nearly all of the couple's possessions and made the home uninhabitable for a time -- but everyone survived. Wonder Lake Fire Protection Assistant Chief Mike Weber called Baby a hero. "We don't know what the outcome would have been if not for the cat," Weber said.